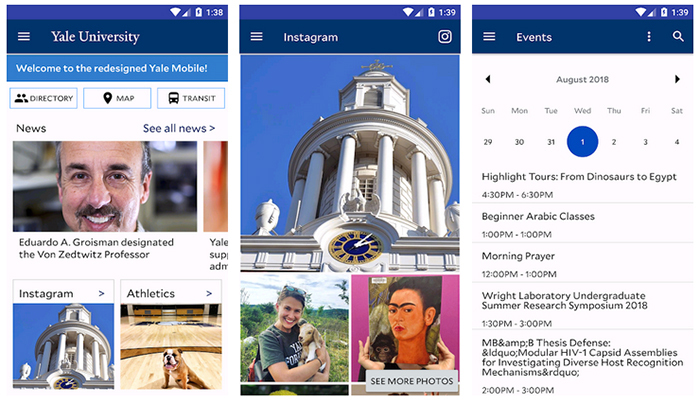 Yale Mobile is the university’s official app, available in Android and iOS. 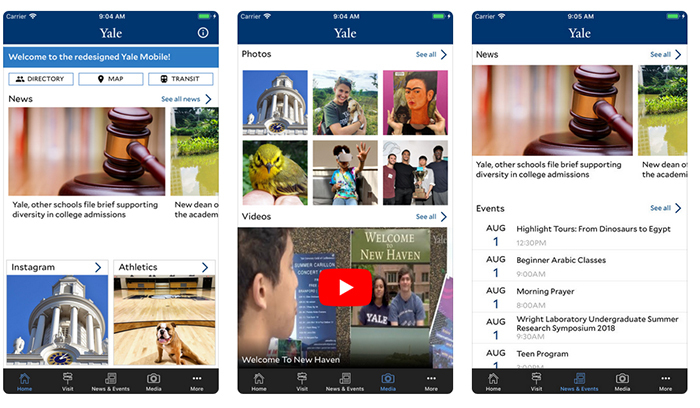 Learn about the latest campus news and events, connect to key tools and resources, and take a virtual tour of campus. The app also includes live feeds of our Instagram images and YouTube videos. Want to recommend a new feature? Experiencing any technical problems? Contact us at opac@yale.edu.